A new book written by Sutton Coldfield historian Brian Jones and volunteers at Birmingham’s Pen Museum highlights the crucial role of women in making Birmingham the global centre of the steel pen nib manufacturing industry in the 19th and early 20th Centuries. After beginning as a small workshop-based trade in the 1820s, pen nib manufacture soon moved over to factory production and through the 19th Century developed into a massive world-renowned industry centred on the Jewellery Quarter. The book – People, Pens and Production in Birmingham’s Steel Pen Trade – took three years to research and write. 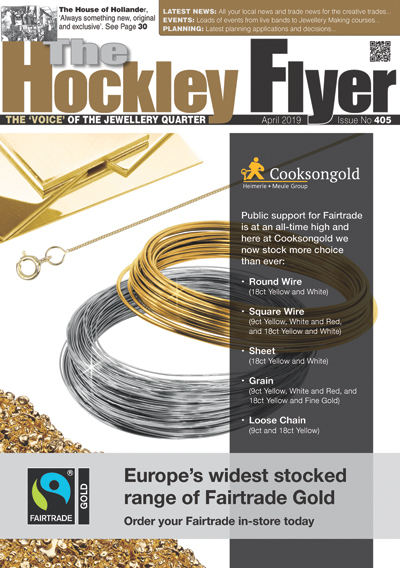 Proceeds will go to the Pen Museum, which is in Frederick Street in the Jewellery Quarter. In the book, Brian and the other authors explain how women represented 70% of the estimated 8,000 employees in the pen nib industry in Birmingham at its peak at the end of the 19th Century. Brian said: “This is an industry in which Birmingham led the world and the role of women and children in making that happen does not always receive the recognition it deserves. The book also explores the role of children in the industry and highlights the irony of the fact that so many of the workers of all ages and both genders were contributing to increasing literacy around the world while themselves remaining semi-literate, if not illiterate. Drawing on archive material collected by the Birmingham Pen Trade Heritage Association at the Pen Museum, the book examines the history of the individual companies at the heart of the industry such as Mitchell’s, Brandauer, Gillott’s and Mason’s. The book also tells the story of entrepreneurs such as Joseph Gillott and Josiah Mason, who although born into poverty and lacking formal education, went on to make fortunes in the industry. Gillott became an art collector and Mason a philanthropist who founded the University of Birmingham. The cause of the demise of the industry in Birmingham is identified as the invention of the ballpoint pen in 1938 by the Hungarian Laszlo Biro. The city’s steel pen nib manufacturers were unable to keep pace with the changes in technology needed to produce ballpoints and 140 years of steel pen nib manufacture in Birmingham had ended by the early 1960s by which time many companies had amalgamated and moved out of the city. 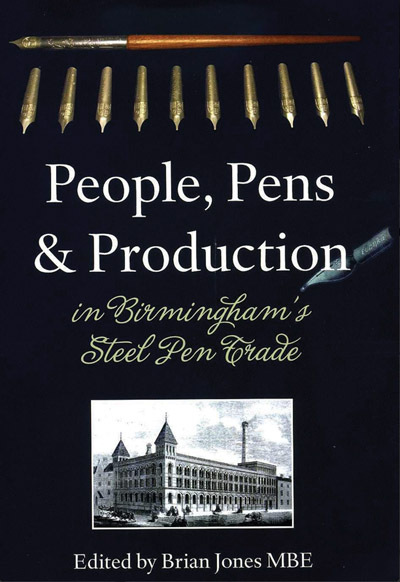 People, Pens and Production in Birmingham’s Steel Pen Trade published by Brewin Books is available from bookshops, Amazon or direct from the Pen Museum and is priced at £14.95. For further information or to order the book visit www.penroom.co.uk or telephone the Pen Museum on 0121 236 9834.